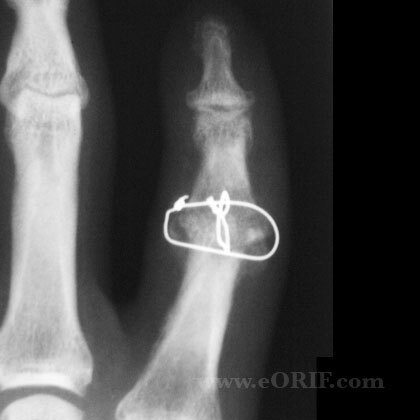 Treatment = PIP arthrodesis (maintains pinch strength, better reliability over long term compared to arthroplasty for the index finger. 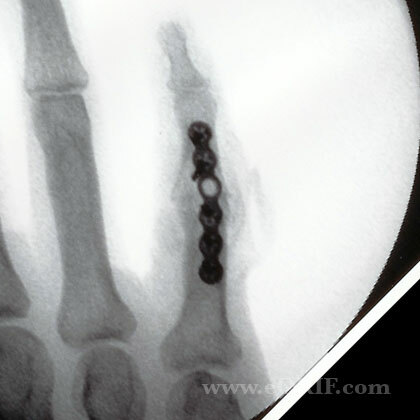 Pyrolytic carbon implants: Average postoperative ROM 18° to 71°. 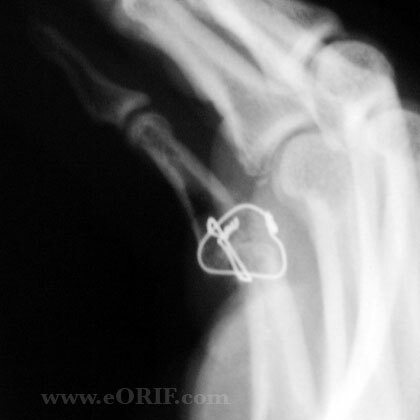 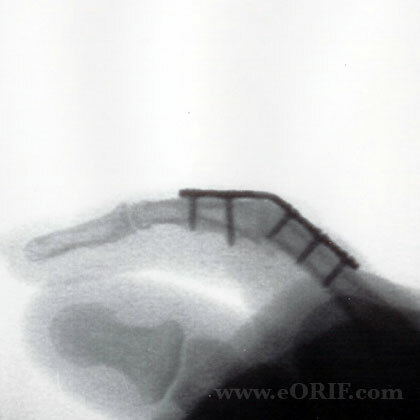 83% of patients would have the surgery again (Tuttle HG, J Hand Surg 2006;31A:930).